I really should be concentrating on something else at the moment. But two tweets from @femedtech have reminded me of an experience that I thought I'd share. It won't take long and then I can get back to what I'm supposed to be doing. and I realised that I had to share my story. So, a couple of years ago I was invited to be on the Customer Advisory Board for one of my favourite ed tech tools. It involved a number of webinar-type meetings and a major on-site meeting. It lasted about a year and I haven't heard anything in a while about it, so I don't know if it still exists (the CAB, not the tool) or if I just got dropped. The on-site meeting took place in a city that is quite a distance from Galway - i.e. there was a lot of travelling involved. 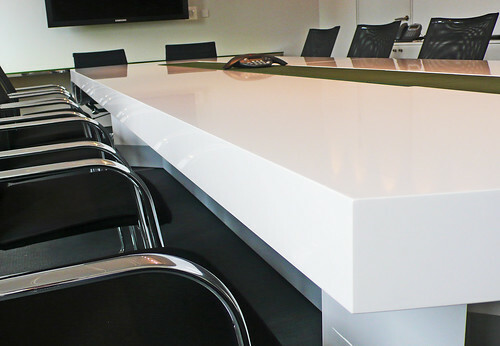 When I arrived, we were all (about 30 people) in a large board room, and I took my place at the long table. As an introvert, I don't work well in such situations, and there were a lot of loud people in the room who could easily talk and give their opinions. So I settled into my observer mode and watched. An early observation was that there were a good number of women in the room, certainly more than 10. This was a positive sign - as a computer scientist I have often been the only woman in a room. But then I realised that all the women except 2 (me and one other) were employees of the company. So, of about 20 people on the CAB, just 2 were female. This, I thought, was reflected in the discourse at the meeting, with a focus on technical topics. It wasn't all bad. The female employees included some very senior people in the company and some very senior developers. So, to answer the first tweet above - plenty of women on the board. At an event later that evening (remember I had travelled a significant distance) hosted by the company, I was chatting to one of the senior women employees. I mentioned my observations at the meeting, regarding the imbalance on the CAB, and she agreed with me. We both then approached the most senior woman in the company and voiced my/our concerns. She completely dismissed them, in a way that made me feel almost petty for even saying something. She denied that gender was an issue at all. I was shocked and a little embarrassed (hence responding to the second tweet above). Of course, replaying it in my mind (as an introvert often does) I can think of many ways I should or could have responded. But I didn't. I probably mumbled something and moved on. A missed opportunity! As I have for many years now, I attended the annual CESI conference and TeachMeet this past weekend. This year differed in that the conference was postponed by a week thanks to Storm Emma. Despite the setback, things ran like clockwork, mostly thanks to a lot of behind the scenes work. On that note, I should also point out that I am a member of the CESI National Executive and part of the conference organising committee. Hence, I was keenly aware of the behind the scenes work going on! The now traditional TeachMeet went ahead on the Friday evening before the conference. I was presenting on our new Digital Champions Engagement Toolkit that was published the following week as part of the All Aboard! Project. Though the resource was written for higher education, there seemed to be a keen interest from attendees to adapt it to their own needs in their own sectors. The TeachMeet runs at a rapid pace, so it's usually best to Tweet or take notes to follow up on later. Presentations were ride ranging - from social justice, to computer science, and to slowing down. Follow the hashtag for more. The conference theme was anchored heavily on the past and present, and CESI's role in shaping the use of technology in Irish education. The keynotes involved Richard Millwood as the leader of the CESI.CS Community of Practice, and Elizabeth Oldham as the CESI historian. The underlying debate came back to computers, in education or otherwise, being firmly about the people that use them. As things go with conference organising, I only really got to presentations that I chaired, which was useful as I'd chosen to chair them for a reason. Next up for me, was Bea de los Arcos talking about open textbooks. Bea drew a crowd, and engaged the audience. The debate around open textbooks seemed to centre around quality, and that assumption was quickly quashed as we looked at the success and quality of other OERs. Joanna Norton looked at 21st century learning and some of the obstacles we face, like the exams system, privilege, and social justice. Orna Farrell from DCU shared an OER that she created called The History Lab for her distance learning students, and also the wider education community. From a higher education perspective, it was particularly interesting to see an open resource being showcased as a success, when so much of online learning in the sector takes place on pricey, private platforms. It seemed to be a nod back to Domain of One's Own, and as a bountiful resource, it should indeed be shared widely. Stephen Howell finished the day with a capstone looking toward the future, and the human applications for the tools we're using. As always, the CESI conference proved to be absolutely exhausting, and absolutely exhilarating. The CESI community is strong, and with the advent of Leaving Certificate Computer Science this year, only gaining momentum. Throughout the past academic year, I have been offering a workshop on learning design for online and blended learning environments. In the workshop, I facilitate a systematic, hands on approach to the design process. The process, which functions similarly to design thinking, facilitates users in sorting through pedagogical features, learner personas, digital skills, available technologies, and finally course mapping. Throughout the process, it is likely that a user might not even touch a keyboard, although they are more than welcome to access the soft copies of our materials and fill them out that way. It can come as a surprise to some attendees that a workshop focusing on online learning and design is carried out without using technology, but there is a method to this madness. Jumping straight in to a new module in the VLE to design your course without planning isn't really good practice. In this post, I want to share some reflections and some further reading and resources that will assist you in your planning. After all, there is only so much that can be covered in a short workshop! Who does learning design benefit? From what I've seen over the past year, the answer is everyone. Designing a module with all users' needs in mind can make learning more accessible and engaging. It can also make the instructor's experience less stressful and more rewarding. What is the learning design process? Course features: What are the pedagogical features necessary to deliver your course? Personas: Who are your learners? What drives and motivates them? Course maps: How can you align technology to facilitate learning based on the pedagogical features of your course and your learners' needs? How can I apply this to my practice? I don't expect anyone coming away from this workshop to sit down with a pack of pedagogical features cards every time they design a module, but I do expect that adopting a systematic process for thinking about course design will prove useful. Rather than jumping in, you can begin by thinking about pedagogy and your demographic. The tools are chosen only after consideration. However, you could easily use the tools from this workshop to do some planning with colleagues, especially if you're working on a new module, course, or programme. Coming to a clear consensus as a team will provide for a more consistent student experience, even if you just adopt a similar style and format in your online learning environments. Who is coming to the workshop, and why? Staff teaching online or blended modules, or planning to, and need some guidance to get started. Staff that have taught online for a number of years, but are looking for a fresh approach. New staff looking to begin teaching in an innovative way. Most of our learning occupies a blended domain these days, even if the course isn't officially online or blended. If you are using the VLE for assessment, communication, or resources, then part of your module exists online. Good design practice can be applied in any case. My students are digital natives, so they'll be confident learning online, right? Sorry, but this concept has proven flaws. Our relationships with technology are much more complex, and thus your students might need a bit of support with their digital skills. We have some lessons for staff and students from the All Aboard! 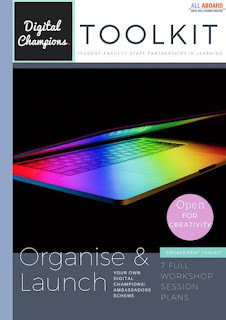 Digital Skills in Higher Education project that might be of use, and you can even add them to your module if you like. These include lessons on using the VLE, Learning Tools, Presentations Skills, and more! They are also open to staff, and might prove useful for creating better online learning materials. These include lessons on podcasts, video, and even design. Please keep an eye on our calendar of events, and our Twitter feed, for upcoming workshops. I recently had the pleasure of visiting Mary Immaculate College for the first time. David Maloney from the Blended Learning Unit had organised a workshop on Learning Design with Professor Gráinne Conole, who is currently Visiting Professor at the National Institute of Digital Learning (NIDL) at Dublin City University. Purple = Reflection and Demonstration. Participants were soon to realise that everything couldn't be labelled as 'very important'! It soon became clear to participants that there was a necessity to balancing the categories and choosing pedagogical features carefully in terms of the learning outcomes, course content, platform, and assessment. Resources for this exercise can be found here. Overall, the personas were quite specific to the variety of courses on which we were working. In our case, we created a mature student working in early childhood education undertaking a blended learning course to advance their professional goals. We assessed our students' technical skills and motivations before moving on to the final portion of the afternoon, creating our course map. In this exercise, we used the four colours/categories to decide which tools we would use, and what roles/responsibilities correspond to the use of each tool. I found this part of the day to be useful, as we had to triangulate the roles of teacher, learner and tool. A recurring theme in our group was modelling of tools by the instructor, both technically and in terms of best use. We found that communication tools such as discussion boards can often fall flat in terms of student engagement. This can occur as a result of a lack of exemplar content, rubrics, or modelling by the instructor. We decided that students needed to see for themselves how the tool could help them learn, and not just earn easy points for participation. While this might have been a whirlwind session, there was much to take away in terms of the relationship between the course, pedagogy, learner, and tools. Events like this remind us to be cognizant of the many facets of learning design. We must think about processes, relationships, skills, and attitudes. Thank you again to David and his colleagues at Mary Immaculate College for hosting, and thank you to Prof. Conole for providing us with resources to use in the future. Regular readers of this blog will know that I strongly support the use of Wikipedia (and Wikimedia generally) in teaching, and that I'm a member of Wikimedia Community Ireland. I'm still very nervous about editing, and until recently have only made very minor contributions to the online encyclopedia. It's one of my own development goals. I am completely in awe of anybody who takes on the #100wikidays challenge - to write an article a day for 100 consecutive days. I first heard of this through our community member Rebecca O'Neill, who completed the challenge in 2015. Mourning my mother through a hundred days of Wikipedia editing is another, more recent, account of the challenge. Given that I've only written one article from scratch, I'm a long way from even contemplating the challenge. However, earlier this year I saw that Rebecca had started the #100CommonsDays challenge - to upload an image to Wikimedia Commons every day for 100 days. I thought that sounded very much more manageable. I have contributed a small number of images before, mostly of the University, and have also been using the Commons as a gateway strategy for introducing academics to the notion of contributing content to Wikipedia. And so, on 27th January I uploaded my first image of the challenge - an image of the diving board at Blackrock in Salthill, Galway. Over the next 100 days, I added a new image every day. My final image of the challenge was uploaded on 6th May. They are mostly of buildings, or plaques, or statues, or places. They are all my own work, and are shared under the default Creative Commons Attribution-Share Alike 4.0 International (CC BY-SA 4.0) license. This means that anybody is free to share or remix the images, but I (as the author) have to be attributed, and any use of the images must be shared under a similar license. So, the images can be used to illustrate any of the articles on Wikipedia (in English or any other languages). But they can also be used for other purposes - making Wikimedia Commons a very useful resource for finding images for teaching purposes. What did I learn from completing the #100CommonsDays challenge? I had to be organised. While I like to take photos, not all of them are suitable for the Commons. I created a dropbox folder into which I dumped photos that might be useful. Each day, then, I had a source of images that could be uploaded. Sharing helps. From day 1 I started to share my uploaded images with my friends and family on Facebook. This meant that if I missed a day, somebody would know! It helped to keep me on track, and also elicited some questions from friends about the Commons. So - another teaching opportunity! I had to do my research. There's no point uploading an image if I can't remember exactly what it is of! Sometimes, I had taken a photo of a monument, but couldn't remember what monument it was. I just had a vague recollection of where I had been. Sometimes google maps was quite useful to do some detective work. Categories matter. I quickly found out that the category structure is how files are organised and found on the Commons. Every file (image) should be associated with a category. Categories form hierarchies, and a file should be associated with the most specific category in the hierarchy. It will then also be associated with all parent categories. It took a number of edits of the categories of my files (mostly by bots) for me to figure this out! Look for gaps. There's no point in adding yet another photo of the Empire State Building - somebody, with a better camera, has been there before me. Instead I had to do a little investigation before adding an image, to make sure the subject wasn't already well covered. You can't upload just anything. I was careful to only contribute images that I had taken myself, and that meet copyright requirements, and that are suitable for the Commons (i.e. not my holiday snaps). Anything else may be speedily deleted! I am still a new user. Having completed the challenge, and made some contributions previously, I now have 139 contributions - but I'm still classified as a new user and my uploads are actively monitored. A new user is anybody with fewer than 150 edits on Commons. Nearly there! Uploading from a smartphone is a hassle. From the mobile site, although you can login, there is no option to upload an image. You have to force your browser to switch to the desktop version. There are rumours of an app, but if it still exists, it is not available on the app store in Ireland, at least. Possibly, but not for a little while. I want to focus on my Wikipedia editing and build up to another article there. 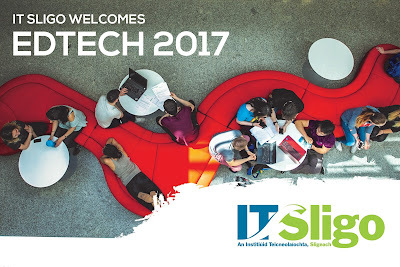 On Saturday the 4th of March 2017, I had the good fortune to travel to the 2017 annual conference of the Computers in Education Society of Ireland (CESI) at the St. Patrick’s Campus of Dublin City University. “a multi-level approach to foster digital literacy, skills and confidence among students at all levels of education needs to be developed”. Against this policy backdrop, the focus in two of the keynote sessions was on mainstreaming technology in education, with inspiring keynotes from Brendan Tangney, Bridge 21, Trinity College Dublin (see slides), and Anne Looney, Interim CEO of the Higher Education Authority in Dublin. Both the venue, the organisers (including my colleague Kate Molloy), and the conference team conspired to showcase the best use of technology in action by streaming, captioning and tweeting events as they unfolded. The Youth Media Team interviewed several of conference speakers and have made podcast recordings available. Other slide resources were shared by the PDST on http://www.pdst.ie/cesi2017 and more individual links to follow up were also posted to Twitter (Iain MacLabhrainn's presentation on All Aboard included). The flagship Lego® Education Innovation Studio (LEIS), was a particular highlight, with Deirdre Butler of DCU giving us a tour of the facilities, and the inspiration behind allowing students a space to create, make, and build. In the sessions I attended, innovation was clearly evident - in using educational mobile apps, animations, minecraft, iPad coding, digital storytelling, and more. A summary Storify of tweets is here (note this isn't a comprehensive catalog of the conference hashtag tweets), and a link to all the conference abstracts is available online. Many presentations were informed by action research and displayed considered pedagogic reflection on their use. Several presenters were researching practice at masters or PhD level, whilst others were deeply involved in enhancing their classroom practice in a variety of educational contexts. It was the first CESI event I had the opportunity to attend, and look forward to connecting again in future. The metaphor of the Digital Native is still very much used in academic circles - perhaps because it is easy to understand. Many academic staff feel comfortable to describe themselves as digital dinosaurs (or immigrants), separated from their students' apparent ease with technology by a gulf so fundamental that it cannot be bridged. When pushed, they do accept that students are ill-prepared to use tech in their educational lives - unable to navigate the VLE, not aware of file types, completely fazed when faced with a zip file. But still, the Digital Natives narrative persists and is accepted as a truth, an excuse. Read Donna Lanclos on The Death of the Digital Native. At the outset of my module on Learning Technologies (#cel263 on Twitter) I ask my group of participants - all academic staff - to reflect on their comfort in using new technologies for teaching1, by writing a group blog post. Despite including works by Donna Lanclos and David White in the readings for the module, still the Digital Native rears his head in these reflections, every year. This last month, a number of staff quite happily identified themselves as Digital Immigrants, describing their discomfort with technologies that are effortless for their students. I think this is a good start. By explicitly articulating this in the group, in writing, it gives me a chance to gently challenge the position. The Digital Visitors and Residents metaphor, approached through a 90 minute workshop derived from David White and Donna Lanclos excellent guidelines, allows my module participants to focus, not on the technology they use, but on how they use the technologies. By working through the mapping process, creating their own maps while working and discussing in small groups, they get to explore their own interactions and purposes. The maps themselves aren't so important, but rather the follow up questions "so what?" and "what next?" By reflecting on their own maps, each participant can take ownership of their own technology use, and purposely determine what they want to do with it. The guide produced by Donna and David is for a full day workshop, with a second day for more strategic use within an institution. Having participated in such a workshop, run by Donna and David last year, I found this a very valuable experience. But I only have 90 minutes, as part of the second workshop (of 7) in my module. The first reflection, about comfort in using new technologies, is an outcome of workshop 1. And without any encouragement on my part, the Digital Natives narrative always comes up. Though commenting on the reflections, I can begin to suggest that the Natives theory doesn't work, and maybe there's an alternative. Before the face-to-face 2nd workshop, I ask participants to watch David's short video explaining the V&R theory, as preparation. By the time I meet them, it's clear that at least some of them have watched it, and nobody admits otherwise. So, my intro can be short, referring to the video and also to their reflections. There is great hilarity as they Google each other - some definitely more discoverable than others - but everybody with a trace. I spend some time working though the drawing of my own map, deliberately leaving out Wikipedia initially. This brings up various questions, which we discuss a little. But my intention is to get them working on their own maps as quickly as possible. They do this in small groups of just 2 or 3. Initially quiet, within 5 minutes the room is full of the sounds of discussion. I circulate, commenting and asking questions. One observation is about whether somebody's name, in the case where it might be unusual or unique, might have an effect on how comfortably open they might be. Anything on the open web would be immediately associated with that person. Somebody with a common name might find it easier to hide. Another group had quite a discussion around e-commerce apps and tools. While not discoverable, there was some anguish about online security of data. After a while, we stop and discuss a little. I draw Wikipedia onto my map, still a little to the Visitors side of the axis. We talk, in general, about the clustering or spread of activities on the maps, and what it might mean. We talk about a third dimension, which some have identified, and how they have use colours or shapes to represent this on their two dimensional grid. They spend another few minutes considering the So What? In the last 15 minutes of the workshop we start to think about What Next? I explain my relationship with Wikipedia as a fledgling editor and how I am deliberately trying to move that block to the right of the V&R axis. I leave them contemplating the What Next question on their maps. Before they leave the room, we have a quick gallery walk. In the 2 weeks between each workshop, each member of the class writes a workshop report as a post on the group blog. This week the report is to include an image of the map with some explanation and a consideration of the So What? question. It takes some time for these posts to start appearing - which may be a good sign. Either they are still reflecting, or just too busy to get around to the report. Suddenly, a week after our workshop, there is a deluge of reports. Almost everybody indicates that the activity was of value and that they have learned something new about themselves and their technology use. Each person has identified some direction they want to take, either by eliminating some aspects or changing others. With a group of academics who are now more self-aware and purposeful, I now have a solid base to begin exploring the use of technology in teaching and learning. I look forward to the many discussions over the next 5 workshops. I have asked my group if I might share some of the comments from their workshop reports. None of the participants are identifiable from the comments. "In order to construct the V&R map, I had a think about where I go online – and one thought usually led to another, and there's certainly some things I've left off." "This activity was extremely useful to me in relation to getting an accurate idea of my use of online tools." "I wasn't aware that I was consistently using so many tools and I also underestimated my visibility online." "Upon first consideration, I foolishly thought there should be a clear divide between my personal and institutional online activities. However, as I started to give it some attention, I found that while some activities were clearly separated into different categories, there was more overlap between groups than I had expected." "In the first report, I wrote that I consider myself a beginner in terms of using technologies in teaching. After creating the map last Friday and after a few days contemplation since then I am not so sure any longer." "By using David White’s system of mapping ones online activities, I have been able to clearly see how I interact with the web, and the roles that my online activities play in both my personal and work life. That brings me to the stage of thinking how I might be able to use the web in more effective ways." "I was surprised by the way this exercise helped me to articulate my feelings towards email. It is by far the biggest influence on my life and it has become almost uniquely work-related." How would you describe your level of confidence in using and learning new computer based technologies? Every year, for the last 6 or 7 years, I've started teaching my module on Learning Technologies, aimed at members of academic staff, by introducing them to twitter. We then use twitter as a tool throughout the module, sharing information and developing a community. Each year there are always one or two participants who are already twitter users, some people who have dabbled or lurk, and always a few who have never used twitter before. It can be a challenge to convince people to give twitter a try, because the value of twitter to an academic is only realised after a period of time spent engaging. Even building up a network takes time, and often it's not clear to the academic that the time invested now will pay any dividends. To that end, I was helped enormously this year by a short presentation from Jane Walsh (@DrJaneWalsh) who gave an engaging, often amusing and very persuasive talk on the value of twitter in her own research and teaching. Jane was a participant herself on the module 4 years ago, and I claim full credit for her twitter success to date. Something I've always done in the past, and I see others doing from time to time, is to put out a call on twitter for help. This usually results in at least a few responses to welcome the new group to twitter, and these are often geographically dispersed, which can be quite impressive. This afternoon I'll be talking with academics about twitter. Pls say hi, where you are, and why you use twitter. Use #cel263. Not feeling very confident, I also tweeted to specific people (former students in the module) to tweet a welcome. I was pleasantly surprised to get responses, not only from former participants, but also a few from people around Ireland (Dublin and Donegal/Monaghan) and one from Melbourne, Australia. A good start! In addition, a couple of people "liked" the tweet, but didn't bother responding - hmmm. This time I was completely inundated with responses. It was amazing. As well as tweets from around Ireland and the UK, people also responded from France, Denmark, Switzerland, the Netherlands, Finland and Israel. There was a great response from across the Atlantic - from Kentucky, Florida, Michigan, Boston and Delaware. There was even a tweet from Brazil. To see the full collection of tweets received, you can take a look at them on Storify. I've been a little bit quieter on twitter in the last few months, so it was really amazing to see such support from my PLN. Thank you to everyone who responded and really gave an impressive demonstration of the power of twitter. My last blog post - on the Etiquette for Tweeting at Conferences - got quite a bit of attention, and a number of comments. One person who commented is Dr Andrew Flaus (@andrewflaus) who sent me a long email including a discussion on etiquette for students in lectures. I invited him to contribute a blog post on the topic. My wife is an early childhood teacher so people sometimes ask her what she teaches to 3-4 year olds: “Everything”. 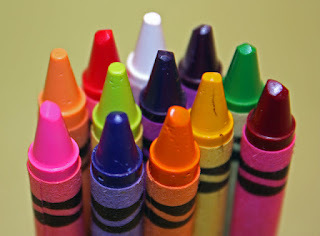 Children who are new to the school environment start by learning etiquette of the classroom: How to wait in turn to answer, how to respect the efforts of others, how to share crayons. The recent post about twitter at conferences reminded me how fresh we and our students are to the use of technology in our lecture theatres. Whether they are “digital natives” or not, most students reflexively use smartphone technology for a variety of activities. If a student can see or hear something they have the technology to record it in their hand. They are also very savvy about the usefulness of this recording, yet many seem to be naive or oblivious to the etiquette of this copying. Last month I presented a secondary school outreach activity in a PC Suite. Our computing support has professional security practices so I dutifully obtained temporary user IDs and passwords then distributed these to the students on a sheet of paper. Several students simply photographed the sheet and handed it on. Very resourceful and not a big deal, but the concept of etiquette when dealing with security credentials clearly does not occur to the students. Sit at the back of any undergraduate student lecture and you will see lots of smartphones on desks. Look carefully at the direction of those phones: At least a few will have the bottom (microphone end) facing the lecturer. If you watch as the lecture begins you might even see students turning on their audio recording apps. I don’t have a problem with being recorded. I’ve given up caring. Anything that reduces the rate of despairing exam answers is ok with me. But I’m not sure every lecturer thinks that way. I also doubt the students are too worried about what we think. Who knows how the illicit audio of our lectures is subsequently shared. While I don’t mind being recorded in general, I would like to be confident that this is for personal study and revision only. Nothing else. A handful of years ago when disabilities support issued voice recorders there was an etiquette of students asking before recording lectures, but I can’t recall anyone actually asking me this in recent years. Be explicit about etiquette for invited speakers. As a research-led university we should be exposing our advanced undergraduate students to “real research”. For example, we have final year students write short summaries on a selection of departmental research talks given by invited speakers. But real research is harder than predigested lectures, and it’s often delivered by people from research-led research institutes that have no idea about learning objectives. This places extra temptation for students to capture a recording of these research talks from invited speakers. Recently we had a very interesting human clinical genetics speaker. I noticed one eager and ambitious student front and centre taking smartphone snaps of slides, including unpublished data and clinical cases. In fairness the cases were appropriately anonymized, but I doubt the student understood this or had thought about the sensitivity of clinical research. He had definitely not asked permission. A couple of years ago I even saw a student bring a laptop into a research talk, dim the screen, turn it round and use the webcam to record the talk as a video. In the days when we had smaller advanced undergraduate classes our students were more directly mentored and we could expect them to imbibe our etiquette implicitly. In the heady days before massification it wasn’t possible to record things anyway. What came on tour with the visiting speaker’s film slides stayed on tour. Nowdays, what goes on tour ends up on Facebook. Our wonderful classroom full of learning technologies gives new and unique ways for students to engage with information to develop their understanding. However, it’s important for them to understand that recording data inappropriately is just as improper as reproducing it inappropriately. 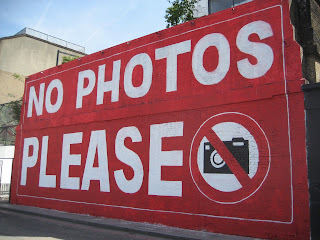 Are we helping them to appreciate that everything they see and hear is not fair game for recording and publishing? I came and I saw, not I went and I copied. I've been using twitter for more than seven years, as many of my readers will already know. One of the most useful aspects of twitter, for me, involves tweeting at conferences - whether I am at the conference, or following a conference hashtag. As well as being part of the general conference discussion and backchannel, it also offers insight to an event beyond the traditional boundaries of location. If I am (physically) attending a conference, my usual style is to tweet key ideas, references, links, and photos of the speaker and his/her slides. More recently, since I'm trying to make written notes (yes - on paper) I will also tweet an image of my notes. I converse with other twitter users, who may be co-located at the conference, or not. I use my own twitter feed as a record of event, along with my notes. I often use storify to collate and share a record of all the event tweets. In particular, I use the photographs to remember useful information that has been presented on a slide, rather than having to note it down somewhere. As an example, see my report from the Durham Blackboard Users' Conference in January. If I am presenting at an event, I make sure to include my twitter handle on the first slide, and will check the hashtag afterwards to see what people have tweeted. I would be most disappointed if there were no tweets! Occasionally, and quite rarely, a speaker will ask that photographs of the presentation are not shared, perhaps because they contain sensitive information. In that case I will always respect the wishes of the speaker. I would never take a video recording of any speaker without their permission. This morning, I followed a tweet related to the Dublin eLearning Summer School #elss16 taking place over the next 3 days related to Social Media Etiquette. The link contains some really good advice about tweeting at conferences - and could be adapted for other events - such as keeping phones on silent, using the hashtag, being respectful of speakers. I will be ignoring this piece of advice - as I get older my eyesight is getting worse and I'll continue to sit in the front third of the room. But I am generally quite careful not to be distracting with my many devices. So, I'm bothered! As a self-confessed introvert who abhors rudeness, I would hate to think that I've been defying etiquette for the last 7 years. Is this a social blunder that I've been completely unaware of? You’re encouraged to tweet some photos of the conference. Having some photos in the Twitter steam makes the conference experience more concrete for folks not there. So, I'm asking you - dear readers - what do you think? Answers in the comments, or via Twitter, would be greatly appreciated. I've been very remiss in my reports from #BbTLC16, which happened at the beginning of April. But I still have my notes from the sessions, intending to write them up. On Tuesday I sat in on the Blackboard International Product Update Webinar - which covered similar ground to the product update sessions at #BbTLC16 - so I thought I'd take the opportunity to put a few sentences together. The webinar covered three main products: Blackboard Learn, Collaborate Ultra, and mobile solutions Bb Student and Bb Instructor. Wade Weichel gave a presentation (at both #BbTLC16 and on the webinar) about the roadmap for the classic VLE. Apparently the focus is to make the learner's experience "more delightful". 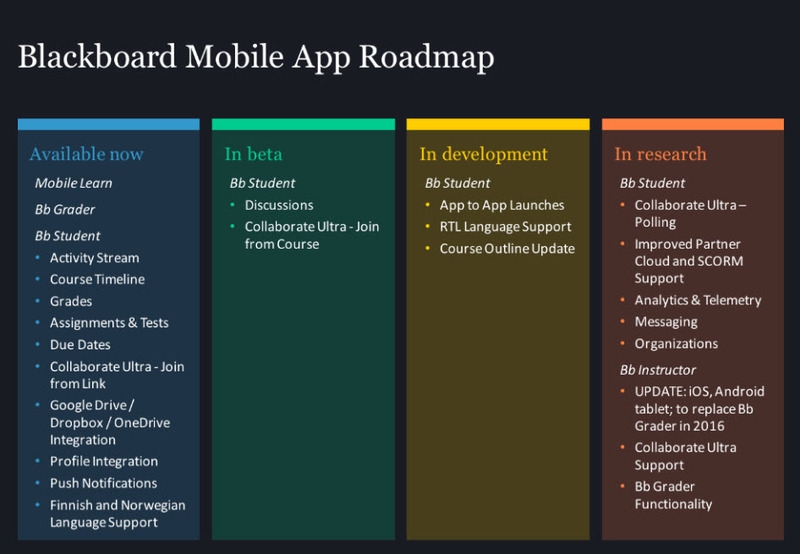 Blackboard are moving to a regular update schedule, with two major releases each year, and cumulative updates in-between. Q2 2016 was released last month, and brings increased stability to the system - which is good news. There was a lot of talk about infrastructure and authentication, which went over my head, but one piece of advice is to test all (non Blackboard) building blocks (for example, Turnitin), on a test environment, to ensure that they work properly, prior to upgrade on a production environment. The old chat and virtual classrooms are being discontinued - although we disabled these on our system some time ago. Otherwise, there are some accessibility improvements and a reply capability on emails. The Ultra experience for Learn, which was touted at BbWorld in 2014 and again at the Education on Tour event in Dublin that year, was not mentioned at all. Instead we heard about a new theme for 9.1, which would include some responsive design features. Last month I wondered if this would be ready in time to test and apply before our new academic year (starting in early September). However, from today's webinar it seems that this is still in development, and updates will be provided in future webinars. Finally, admin-level course activity overview reports, which sound really useful, are also still in development. Like many institutions, we are currently running both versions of Collaborate (classic and Ultra), but haven't made the switch to Ultra from within the VLE yet. This is because the functionality within Ultra does not yet match that of the classic version (see my notes on this from #durbbu). However, it's clear that Collab Ultra is being developed quickly, with updates being released regularly. Coming soon will be breakout groups and group chats, while polling features are still in development. An improved integration with Learn is also being developed, so that instructors can choose whether to switch to Ultra or stay with the classic version (depending on their use case). Dan Loury gave an update on the mobile strategy for Blackboard. The original mobile app, Blackboard Mobile Learn, is being replaced by two persona driven apps - one for students and one for instructors. Bb Student was launched in the UK and Ireland in January, and I wrote about it at the time. We've since had some limited feedback from students on the app, but for the most part I suspect students at NUIG are still using Mobile Learn. Since January, development has continued on the app, and it now includes notifications - which is a feature much in demand from students. Future releases will include discussion boards and the ability to join a Collaborate Ultra session from the app - these features are currently in beta. In development is the ability for app-to-app launches, which will mean that we can embed Bb Student in our NUIG Mosaic app. A little further away is the launch of a Bb Instructor app, which will replace the current Bb Grader. This will be available for tablets only, initially. It is good to see Blackboard continue to develop the various tools, but sometimes important new features become available without us being aware of them. The events can be useful to find out about these, but often we are too caught up in the general day-to-day activities to realise that there is something new to think about. The webinars are good opportunities for a quick overview of developments. One tip is to always sign up for the webinar; even if you can't make it at the time, you will receive a link to the recording. Another relatively new initiative is the Innovate&Educate monthly newsletter, for which you can sign up here.